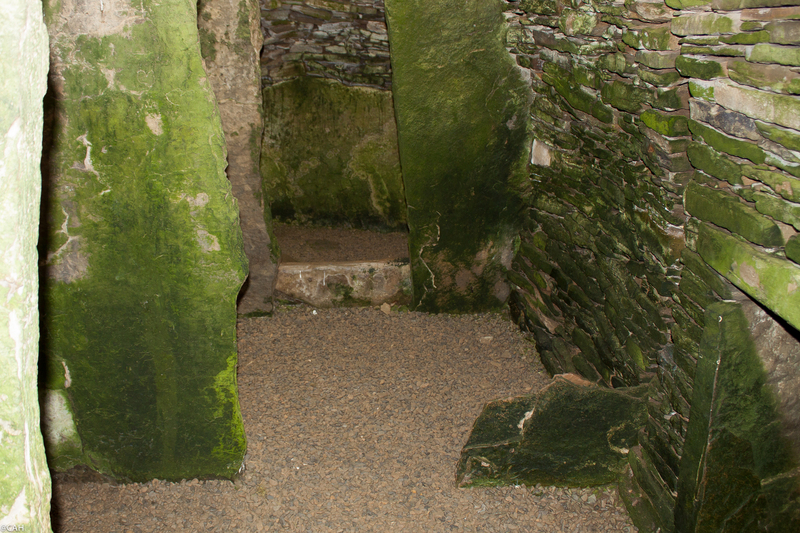 Having spent the morning packing up we visited two neolithic tombs on our way back to Stromness. Unstan’s Tomb is situated near the loch shore by a cottage. A couple from Aberdeen had cycled from Stromness and were having their lunch beside it. We chatted for a few minutes and then I went inside for a look. There was a short creep through a low passage and then into the chamber. 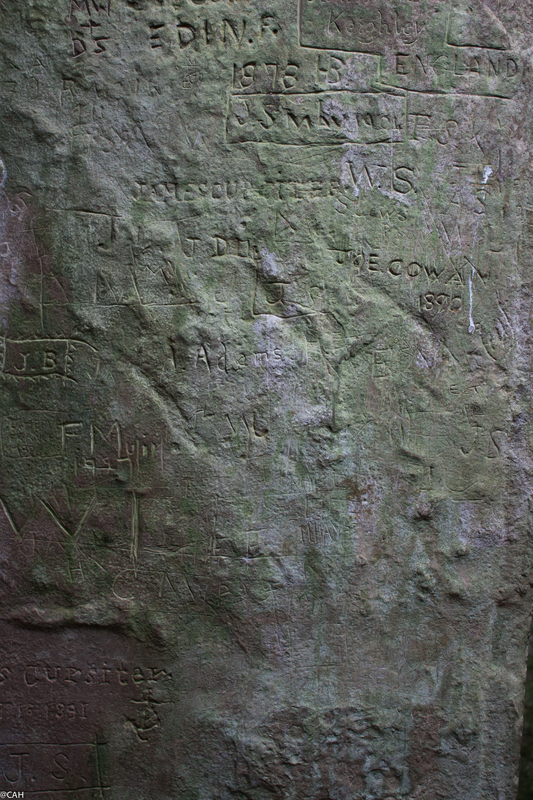 There was even some 19th century graffiti. Next on the list was Maeshowe. Entrance to this tomb is very controlled and regimented. You can only go on guided tours of up to 25 people. I am quite claustrophobic and was a little concerned when I discovered that there was a long (10 metre) passage into the chamber and wondered how 18 people would cram in there. When the guide announced that photography was not allowed that did it for me and I contented myself with the description and pictures in my Orkney history book. 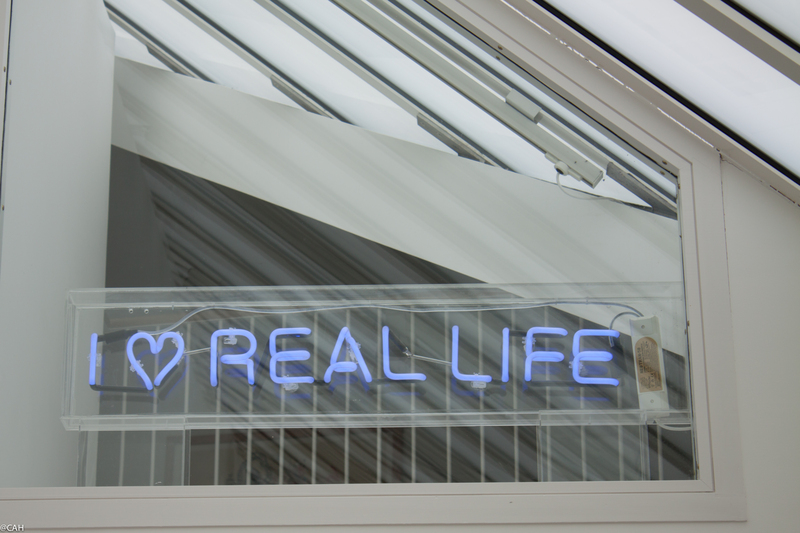 Back in Stromness, we discovered a little gem – the Pier Arts Centre. There is a permanent collection on display upstairs which has a number of Ben Nicholson and other 20th century paintings and sculptures. 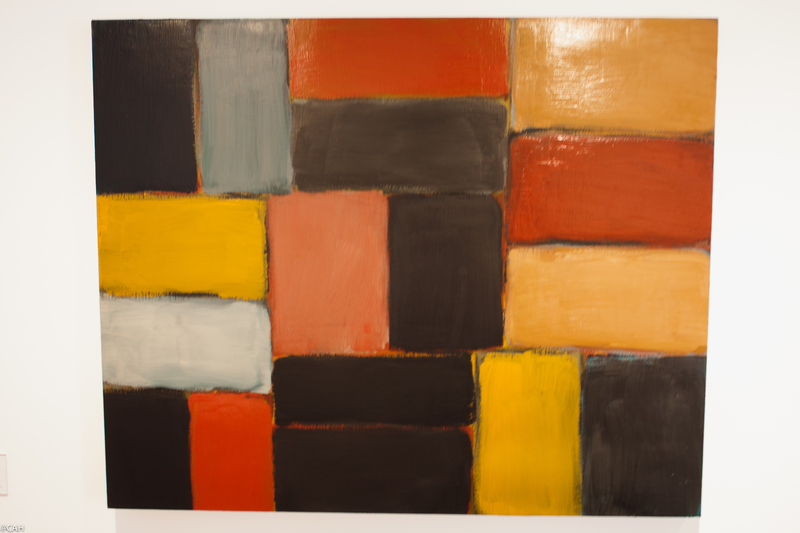 This Sean Scully painting reminded me of a textile project I am planning and I also liked Ross Sinclair’s Neon. Downstairs was closed as it was being rehung for the next temporary exhibition. The public library here is also very civilised with brown leather sofas for relaxing in. After a final coffee in Julia’s cafe before they closed, we had a meal in the Ferry Inn and then watched the boat unloading. After the usual assortment of buses, vans and cars, the ferry turned around and then a large mobile home was slowly reversed off and into the car park. I am not sure how easily they will get it to its destination on the island roads. Then it was time to settle into our cabin and await the early morning departure.